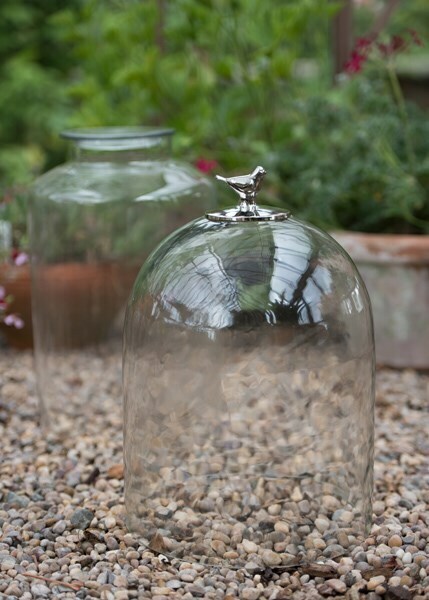 This is a good sized generous cloche with a decorative metal bird topper. 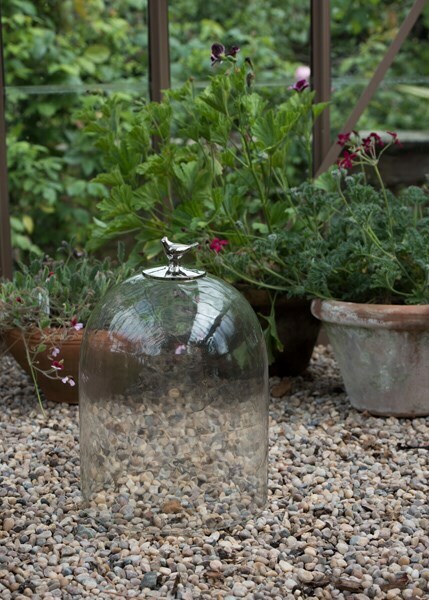 Produced from glass and nickel plated metal, this will work brilliantly to protect your vulnerable plants, as well as looking great. 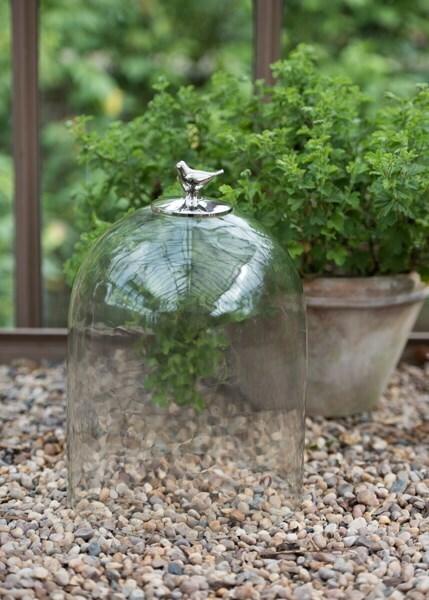 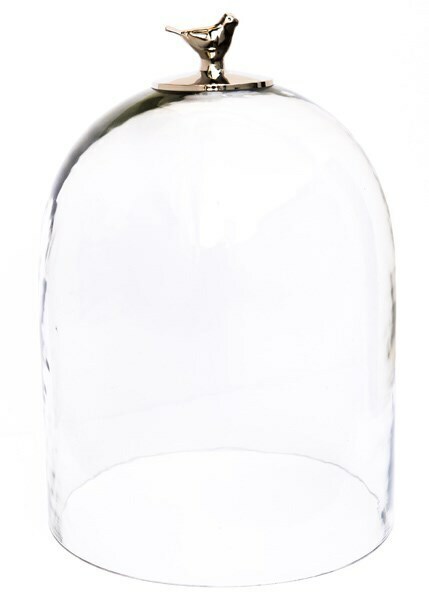 Perfect for individual plants or groups of seedlings, this glass cloche will create a micro climate that allows your plants to mature unaffected by the cold.